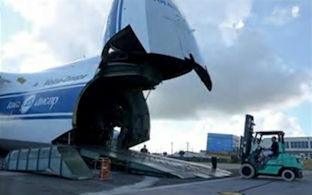 Joint operation, Volga-Dnepr crew and US Marines load equipment on an An-124 Ruslan aircraft at Marine Corps Air Station Futenma, Japan. Antonov, manufacturer of the An-124, says the aircraft can carry a 176,000lb payload 4,000 nautical miles. 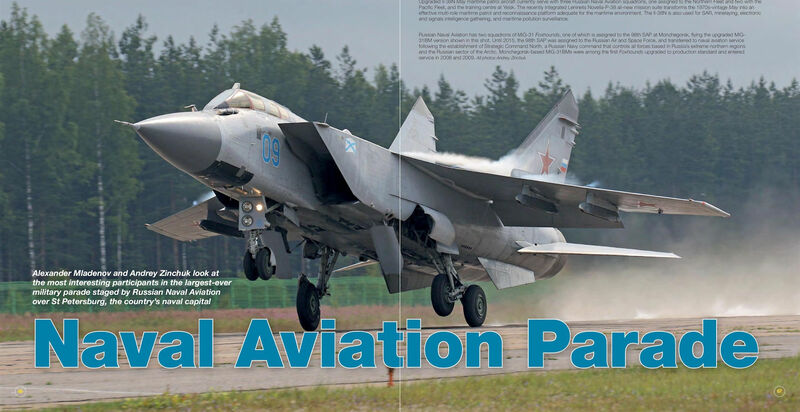 Russian Naval Aviation has two squadrons of MiG-31 Foxhounds, one of which is assigned to the 98th SAP at Monchegorsk, flying the upgraded MiG-31BM version shown in this shot. 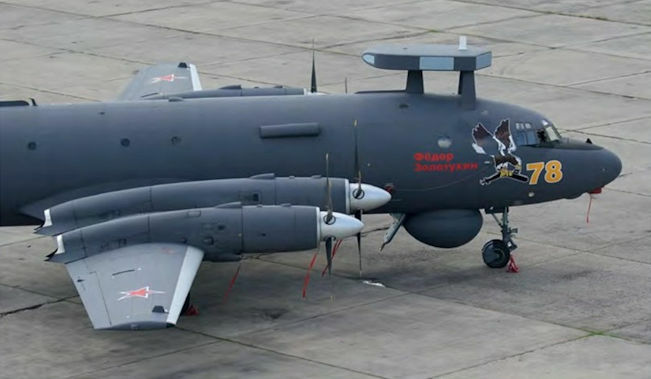 Until 2015, the 98th SAP was assigned to the Russian Air and Space Force, and transferred to naval aviation service following the establishment of Strategic Command North, a Russian Navy command that controls all forces based in Russia’s extreme northern regions and the Russian sector of the Arctic. Monchegorsk-based MiG-31BMs were among the first Foxhounds upgraded to production standard and entered service in 2008 and 2009. The Air Force Research Laboratory’s AgilePod performed a series of flight tests aboard a Douglas DC-3 aircraft in preparation for integration on an MQ-9 Reaper unmanned aerial vehicle later this year. 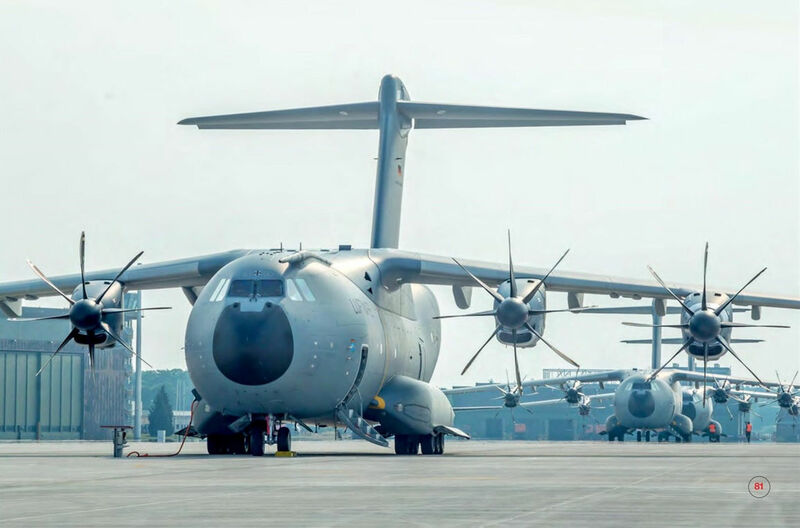 Reconfigurable on the flight-line, the AgilePod enables operators to meet a variety of mission sets with multiple sensors on a single platform. 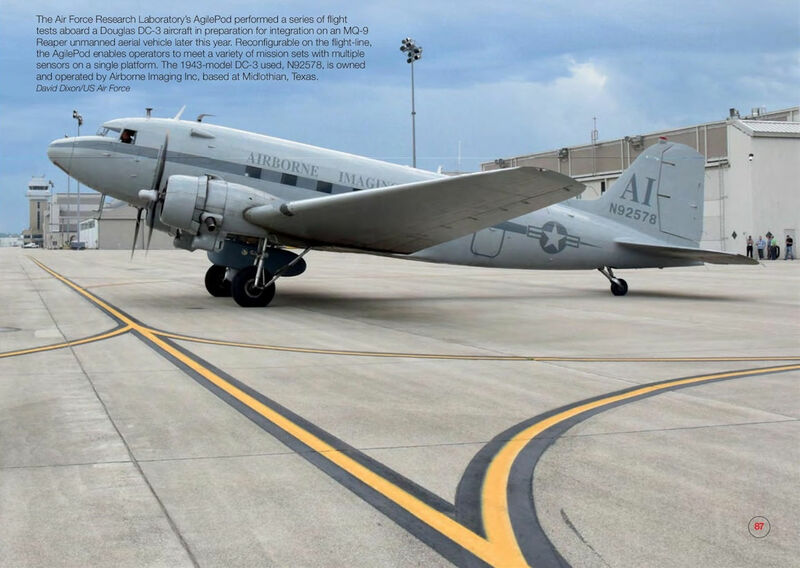 The 1943-model DC-3 used, N92578, is owned and operated by Airborne Imaging Inc, based at Midlothian, Texas. 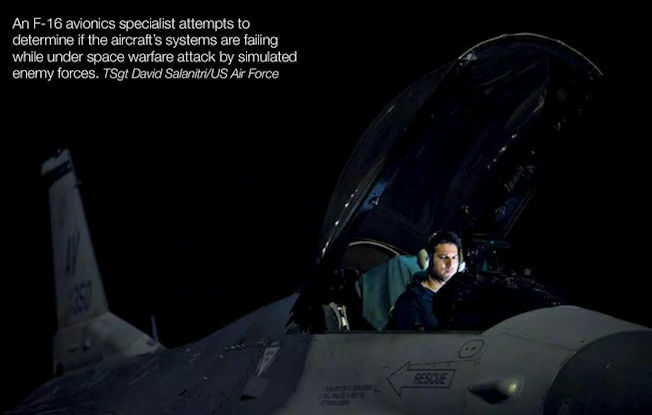 An F-16 avionics specialist attempts to determine if the aircraft's systems are failing while under space warfare attack by simulated enemy forces. 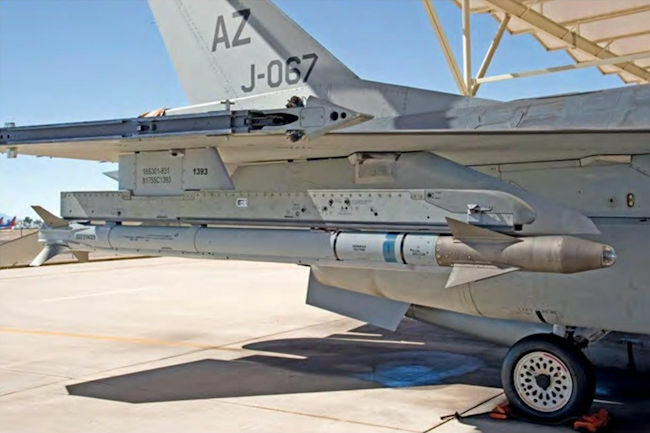 F-16AM J-866 armed with three live AIM-120 AMRAAM and one AIM-9L air-to-air missiles; a standard weapon payload for the BAP mission. 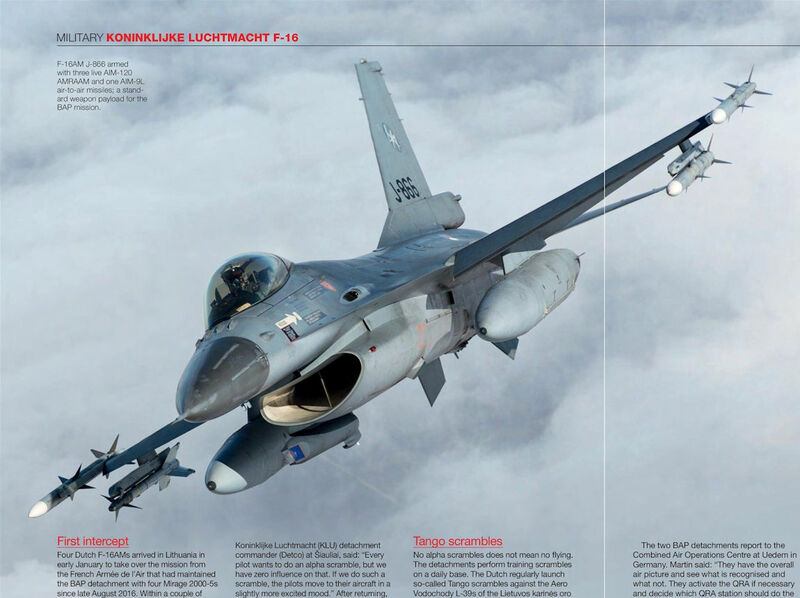 Koninklijke Luchtmacht F-16s head a line-up of EPAF Fighting Falcons at Leeuwarden. 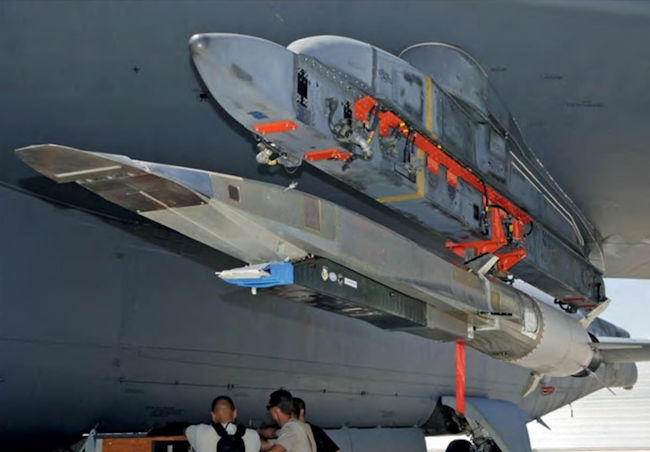 A CATM-9X-2 training missile under the wing of a Tucson-based KLU F-16. 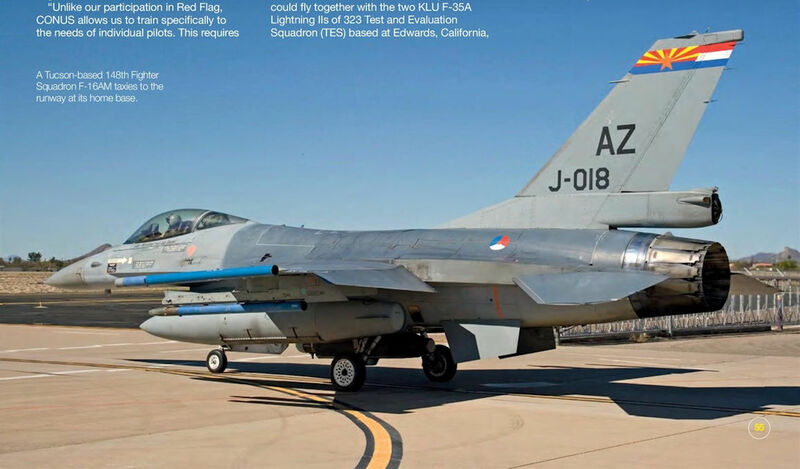 The AIM-9X was first used on Dutch F-16s after an OT&E programme for the new missile in the initial days of the deployment to Davis-Monthan proved successful. 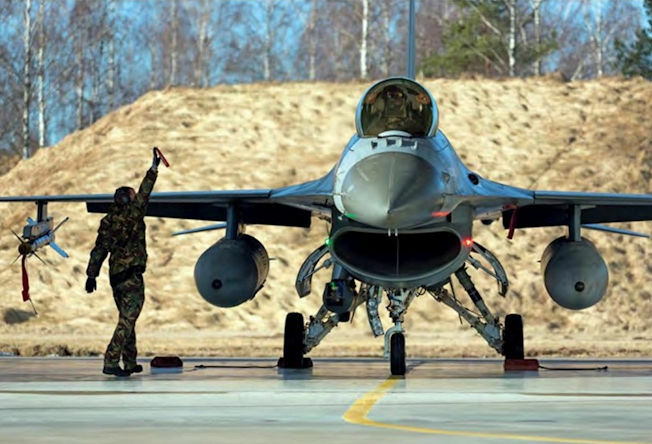 A Tucson-based 148th Fighter Squadron F-16AM taxies to the runway at its home base. 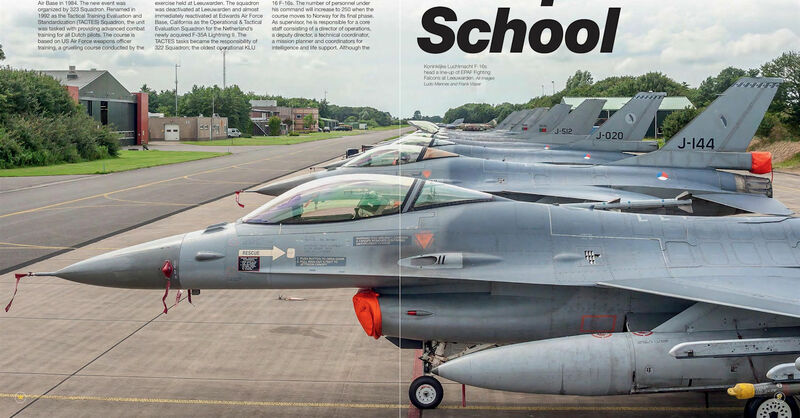 Koninklijke Luchtmacht F-16s taxi to the runway at Leeuwarden for an air-to-air mission loaded with CATM-120 AMRAAM training rounds. A crew chief raises his arm holding a safety pin to show the pilot the pin has been removed from the aircraft. F-16AM J-015 from Volkel-based 312 Squadron, one of six deployed to Davis-Monthan for CONUS 2017, sits on the TFTC apron against the backdrop of the Santa Catalina Mountains. An HH-60G Pave Hawk waits to be loaded onto a C-5M Super Galaxy, the world's original strategic airlifter in service with the US Air Force since 1970. The C-5M is the latest variant powered by GE F138-GE-100 (CF6-80C2) engines and new components. 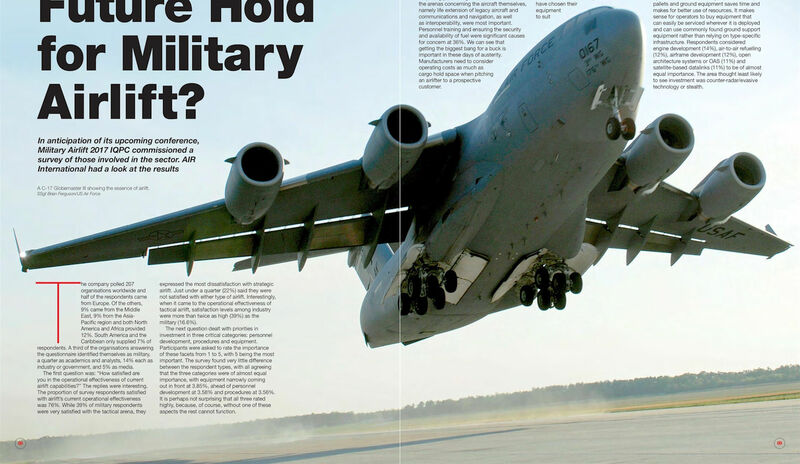 According to Lockheed Martin, a C-5M Super Galaxy loaded with a 120,000 lb payload has a range of 5,250 nautical miles. 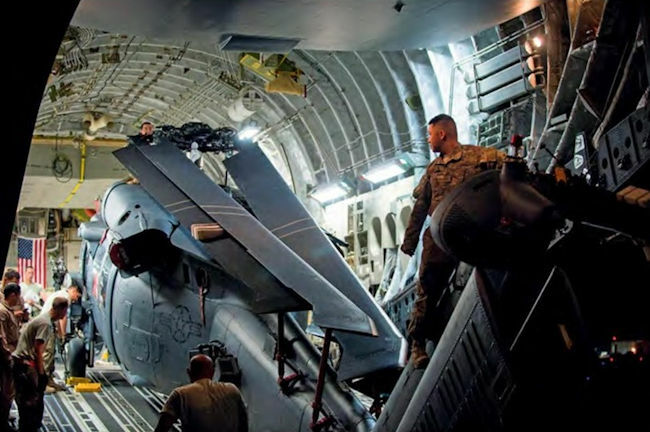 Airmen offload an HH-60G Pave Hawk from a C-17 Globemaster III at Bagram Airfield, Afghanistan. This shot was taken at the end of May 2015 by which time US Air Force airlift aircraft had delivered 19,900 short tons of cargo throughout Afghanistan. 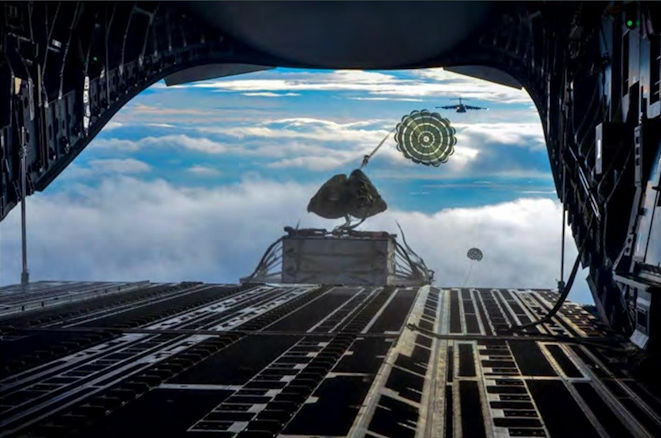 A heavy container plunges from the back of a C-17 Globemaster III during an airdrop using the container delivery system. 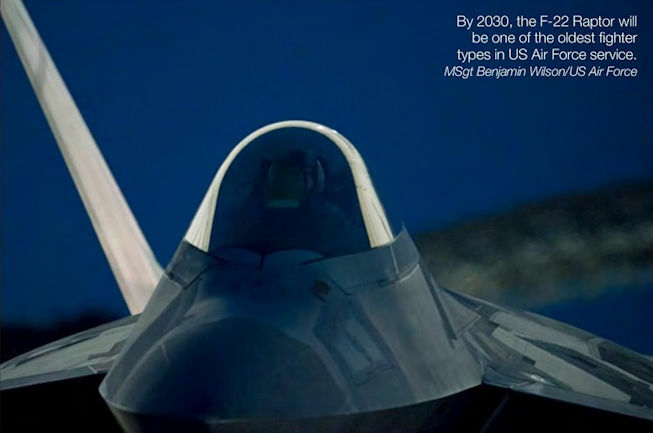 By 2030, the F-22 Raptor will be one of the oldest fighter types in US Air Force service. The X-51A WaveRider hypersonic flight test vehicle loaded on a B-52H assigned to the 412th Test Wing at Edwards Air Force Base prior to the first of three flights, one captive, one dress rehearsal and the final live release, in 2009. Developed by the Air Force Research Laboratory, the Defense Advanced Research Projects Agency, Pratt & Whitney Rocketdyne, and Boeing, the objective of the X-51A programme was to demonstrate the ability to use air-breathing, hydro-carbon propulsion in the hypersonic flight regime, which is flight more than five times the speed of sound. 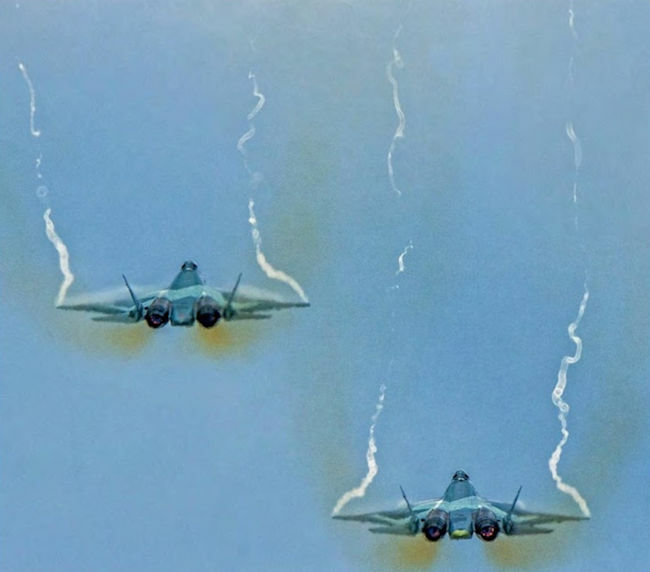 Four carrier-capable MiG-29KRs were in the air parade, including RF-92320. 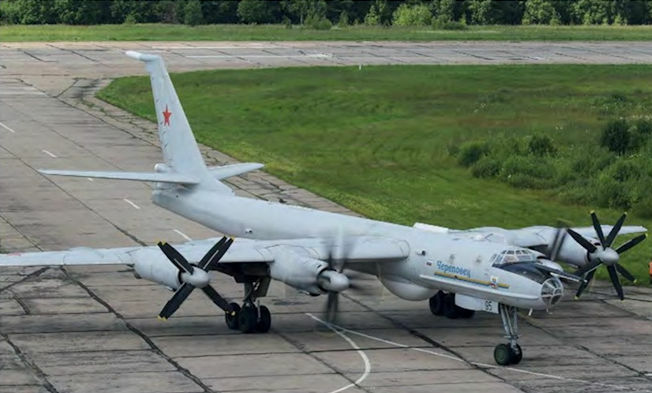 All four were assigned to the 100th OKIAP based at Severmorsk-3 near Murmansk on the Kola Peninsula. 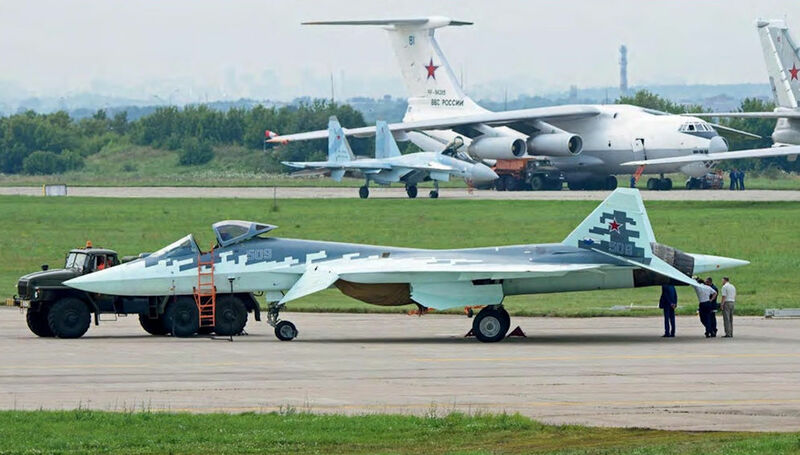 Russian Naval Aviation received 20 single-seat MiG-29KRs and four two-seat MiG-29KUBRs in 2015. 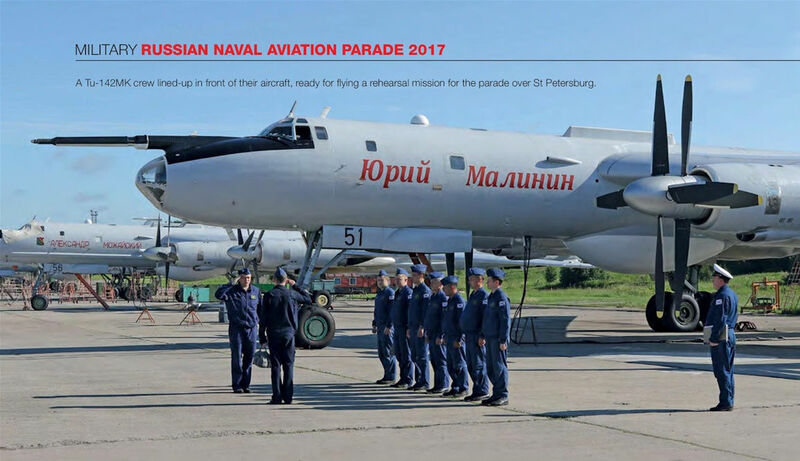 The 100th OKIAP was reactivated on December 1,2015, with its fighters tasked to operate from the sole Russian aircraft carrier, Admiral Kuznetsov, assigned to the Northern Fleet. 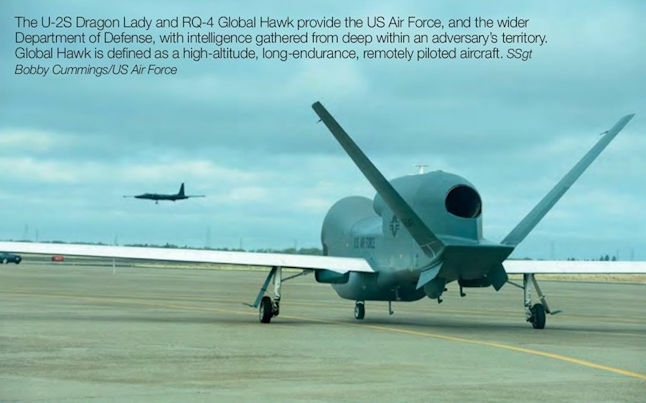 The U-2S Dragon Lady and RQ-4 Global Hawk provide the US Air Force, and the wider Department of Defense, with intelligence gathered from deep within an adversary’s territory. 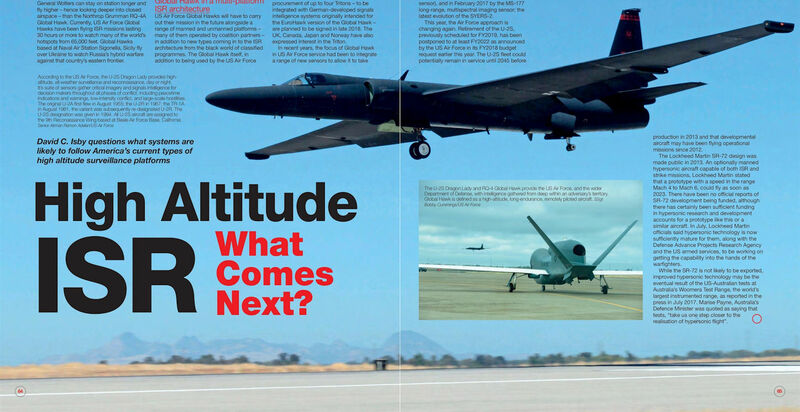 Global Hawk is defined as a high-altitude, long-endurance, remotely piloted aircraft. According to the US Air Force, the U-2S Dragon Lady provides high-altitude, all-weather surveillance and reconnaissance, day or night. It's suite of sensors gather critical imagery and signals intelligence for decision makers throughout all phases of conflict, including peacetime indications and warnings, low-intensity conflict, and large-scale hostilities. The original U-2A first flew in August 1955; the U-2R in 1967; the TR-1A in August 1981, the variant was subsequently re-designated U-2R. The U-2S designation was given in 1994. All U-2S aircraft are assigned to the 9th Reconaissance Wing based at Beale Air Force Base, California. 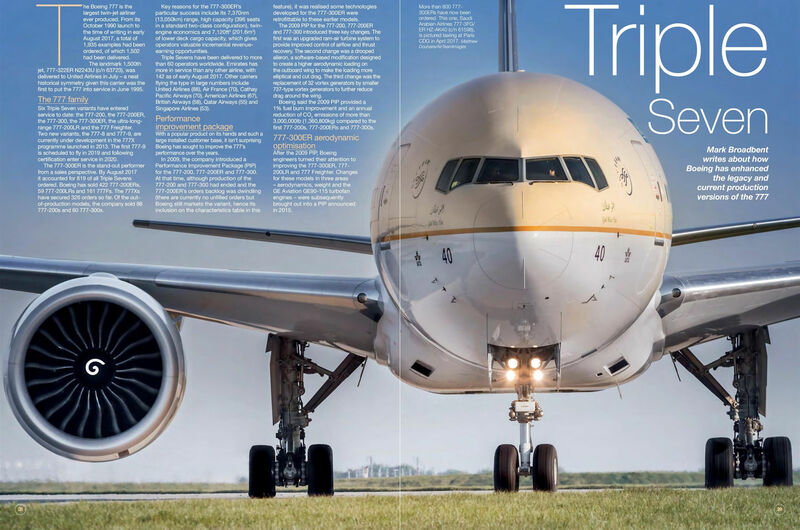 Qatar Airways was the launch customer for the 2015 Performance Improvement Pack­age, which will be applied to all its 777-300ERs. Here 777-3DZ/ER A7-BAE (c/n 36104), wearing the special FC Barcelona livery, departs London Heathrow. 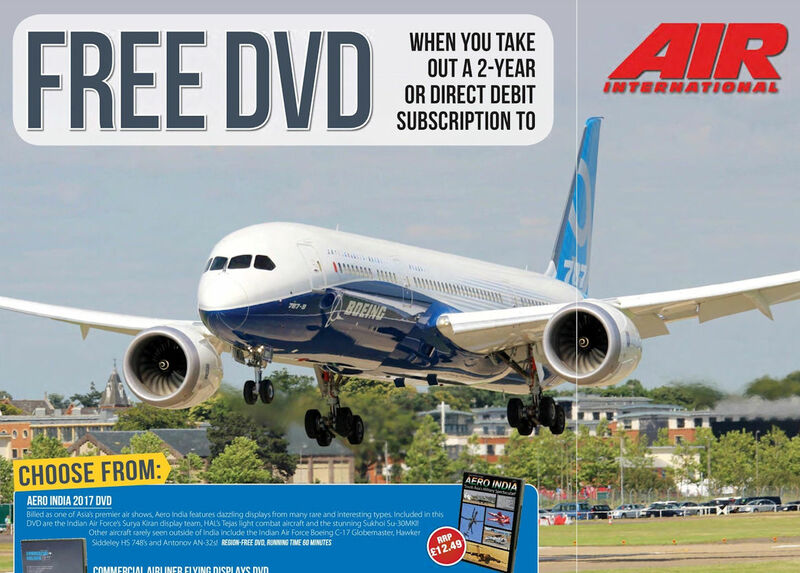 More than 800 777-300ERs have now been ordered. This one, Saudi Arabian Airlines 777-3FG/ER HZ-AK40 (c/n 61598), is pictured taxiing at Paris CDG in April 2017. 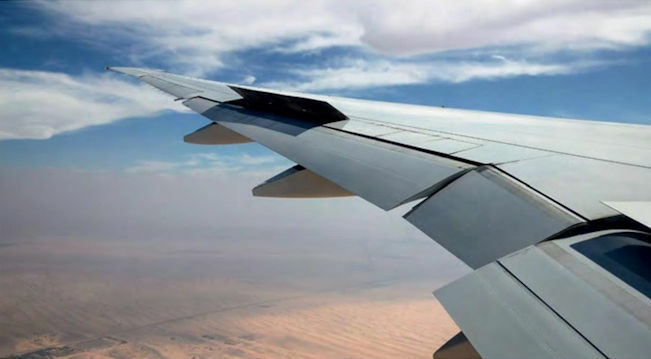 The 2015 Performance Improvement Package includes a divergent trailing edge, which increases the camber (or the asymmetry between a wing’s top and bottom surfaces) to maximise airflow over the wing. 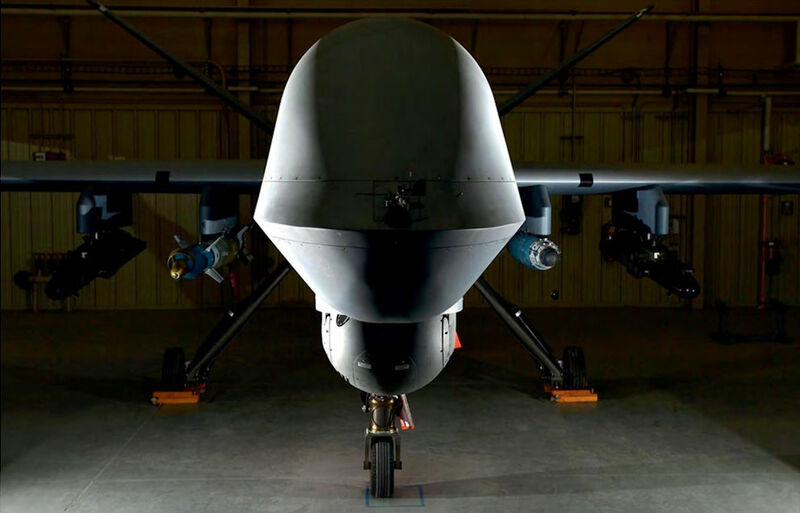 A Block 5 MQ-9 Reaper, upgraded with new electrical and communications systems, loaded with AGM-114 Hellfire missiles, a GBU-12 Paveway II laser-guided bomb and a GBU-38 Joint Direct Attack Munition. On June 23, 2017, a Block 5 Reaper flew the variant’s first combat sortie in support of Operation Inherent Resolve. During the 16-hour mission, the crew employed one GBU-38 and two Hellfire missiles while providing hours of armed reconnaissance for ground forces. 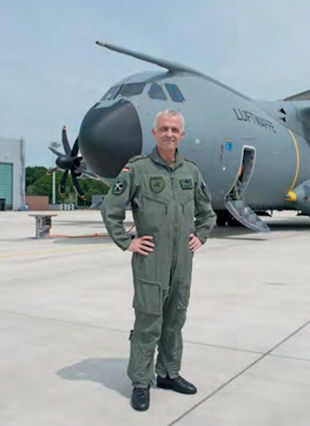 Commander of Lufttransportgeschwader 62, Colonel Bette. 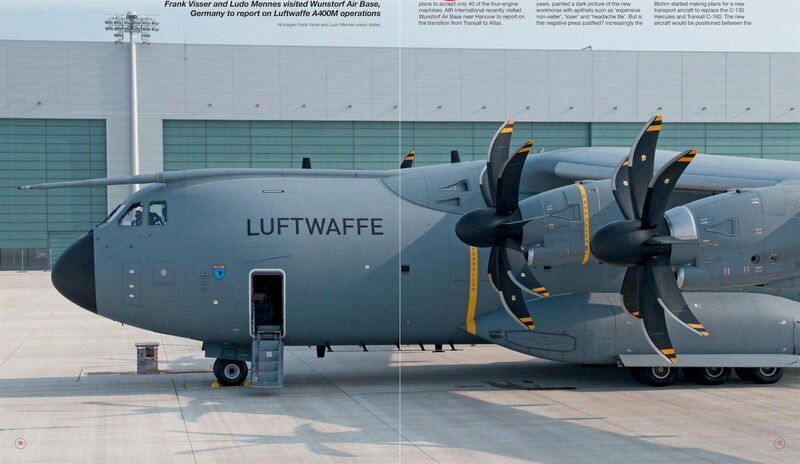 Luftwaffe A400 54+08 taxies at Wunstorf clearly showing the counter-rotating eight­blade scimitar propellers. 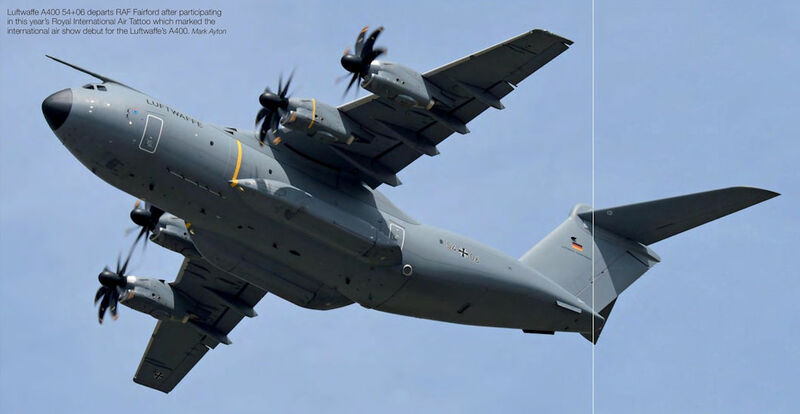 Luftwaffe A400 54+06 departs RAF Fairford after participating in this year’s Royal International Air Tattoo which marked the international air show debut for the Luftwaffe’s A400. 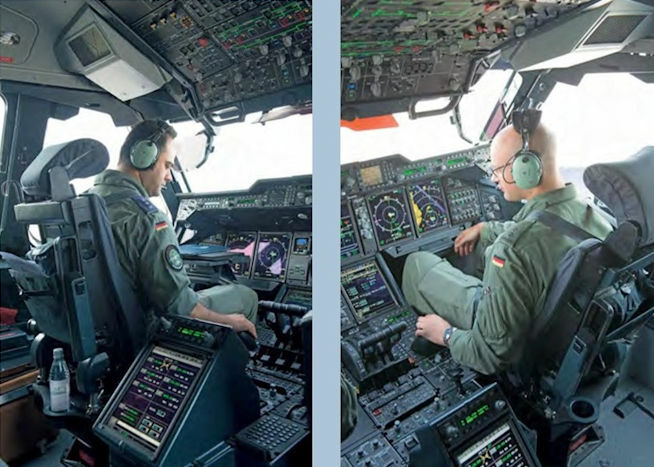 An aircraft commander on the flight deck of aircraft 54+08 and co-pilot looking over one of eight liquid crystal displays on the A400’s flight deck. 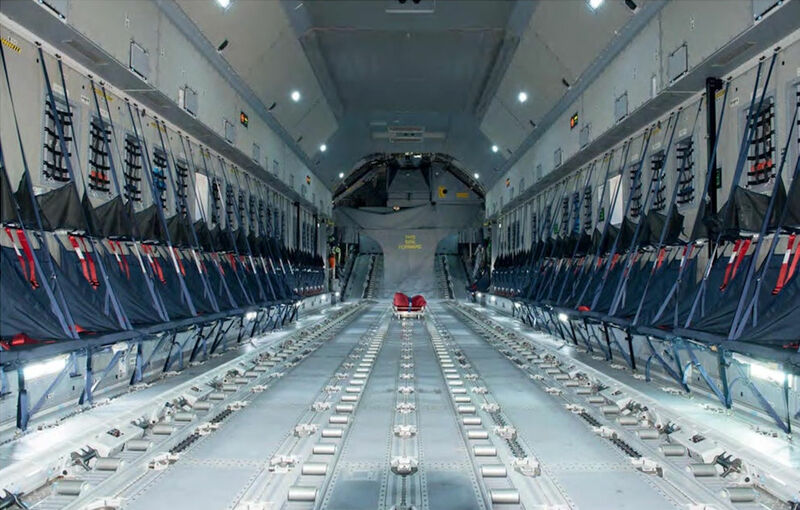 An A400’s cargo box measures 17.7m in length, 4m wide and 3.85m high. 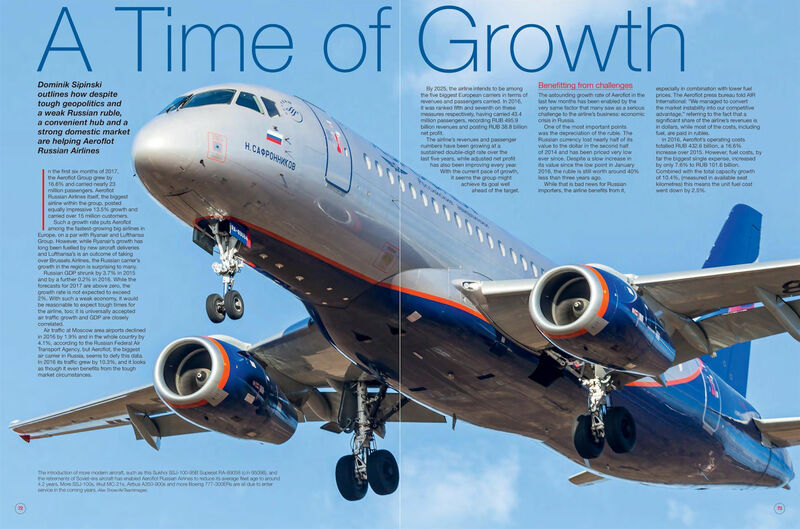 A mostly Western fleet is one reason why Aeroflot Russian Airlines has been able to improve its reputation. Airbus A330-343 VQ-BMY (msn 1301), pictured approaching London Heathrow, is one of 22 A330s in service with the carrier. Electronic Attack Squadron 134 (VAQ-134) ‘Garudas’ is one of four EA-18G expeditionary squadrons which are not assigned to a carrier air wing. All four units deploy to forward operating bases in support of, but not exclusively, the US Ar Force. The squadron’s CAG-bird, EA-18G BuNo 168765/ NL530, features a four-colour tail flash and red titles. Electronic Attack Squadron 142 (VAQ-142) ‘Grey Wolves’ has its CAG-bird, EA-18G BuNo 168381/NH500, painted with dark blue vertical stabilisers. The squadron is one of ten Growler units assigned to a carrier air wing. EA-18G BuNo 168256/NA500 is the current CAG-bird with Electronic Attack Squadron 139 (VAQ-139) 'Cougars'. 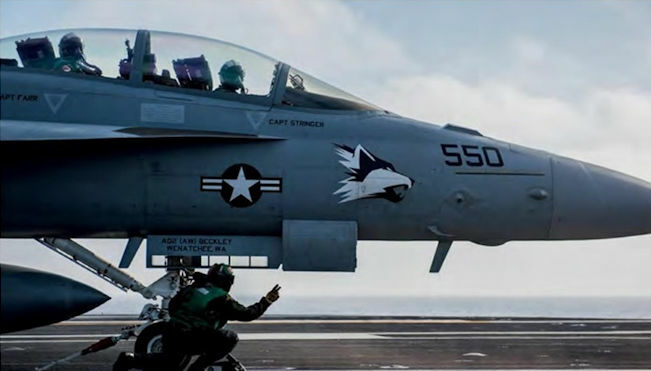 Forward deployed to Naval Ar Facility Atsugi, Japan, Electronic Attack Squadron 141 (VAQ-141) ‘Shadowhawks’ was originally assigned to Carrier Air Wing 8 (CVW-8) and made its maiden deployment on the USS George H W Bush. Today the unit is as­signed to CVW-5. EA-18G Growler BuNo 166934/NL540 is the CAG-bird of expeditionary squadron, VAQ-132 'Scorpions’ seen land­ing at Nellis Air Force Base, Nevada. VAQ-131 'Lancers’ recently returned from deployment aboard the USS George H W Bush (CVN 77). 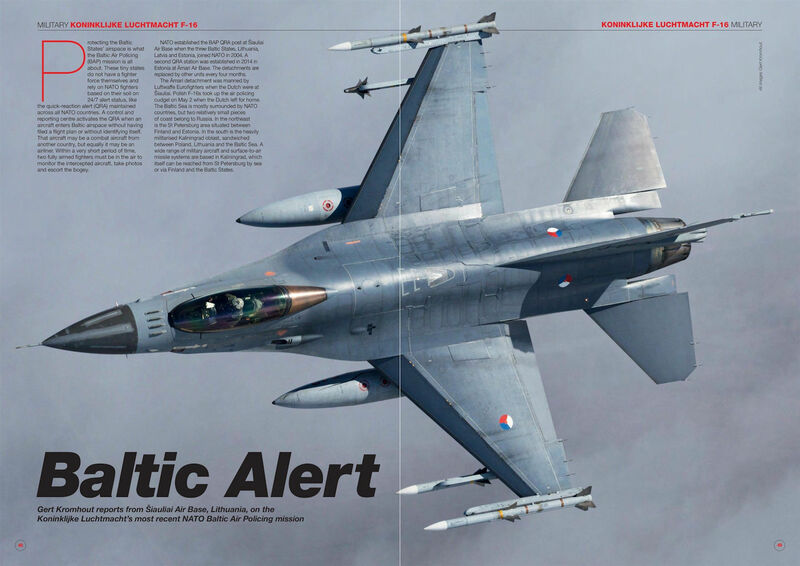 The squadron operates a two-tone grey CAG-bird, EA-18G BuNo 168772/ AJ500, which appears to be coated in Have Glass paint; a coating designed to reduce the infrared signature of the jet. 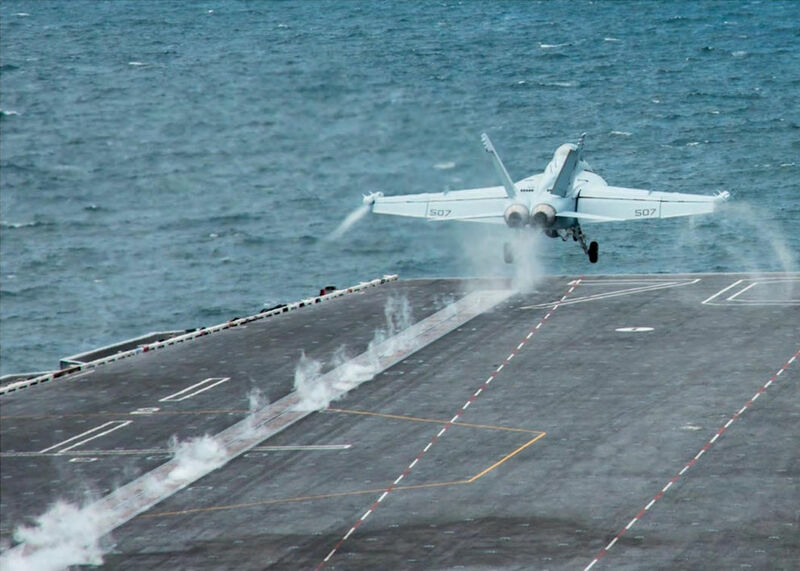 Viking 511 makes an arrested landing aboard USS Carl Vinson (CVN 70) during carrier qualifications off the coast of Southern California. A catapult officer signals a VAQ-129 EA-18G Growler for launch from the aircraft carrier USS Nimitz (CVN 68). 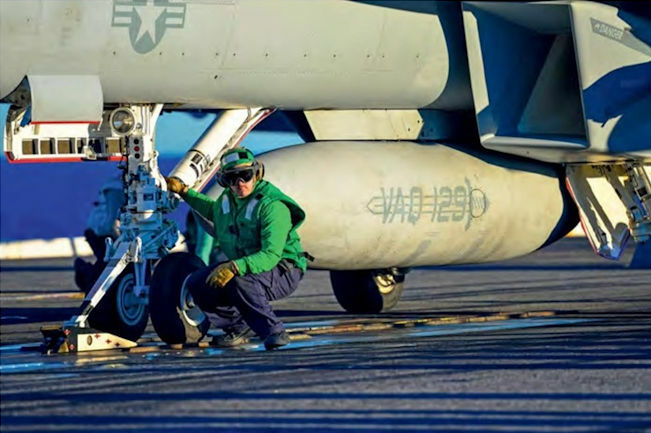 A member of the catapult crew prepares to launch an EA-18G Growler from VAQ-129 from the flight deck of USS John C. Stennis (CVN 74). 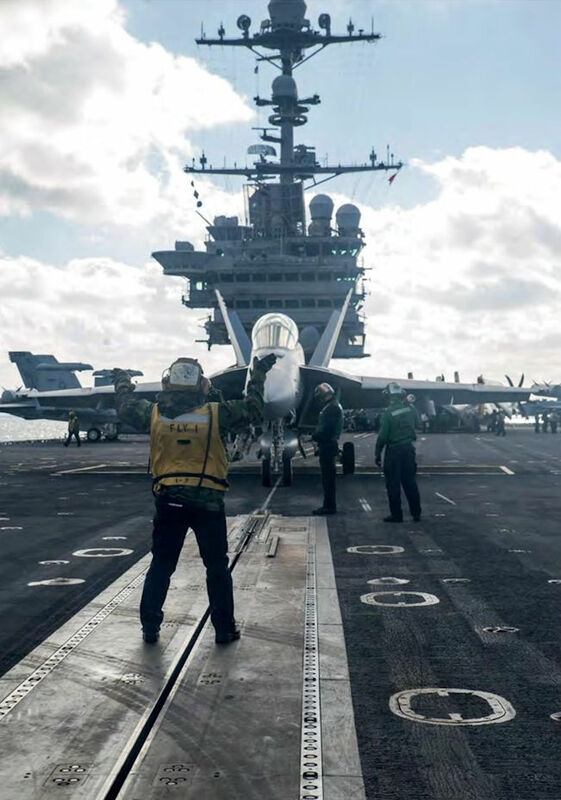 An aircraft handler directs a VAQ-129 EA-18G Growler to catapult 1 on the flight deck of USS George Washington (CVN 73). 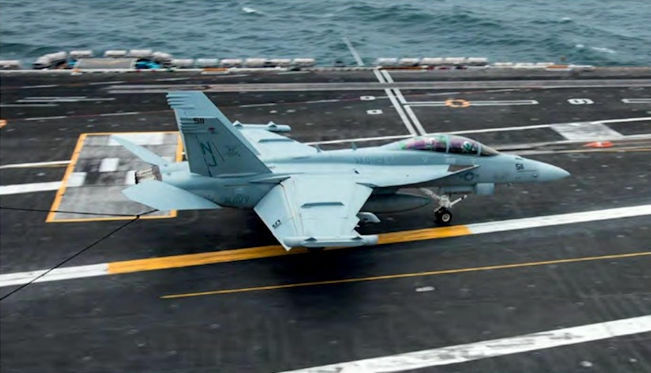 Another colourful CAG-bird, EA-18G BuNo 168268/AC500, assigned to Electronic Attack Squadron 130 (VAQ-130) ‘Zappers’ prepares to launch from the USS Dwight D. Eisenhower (CVN 69) for a mission in support of Operation Inherent Resolve. 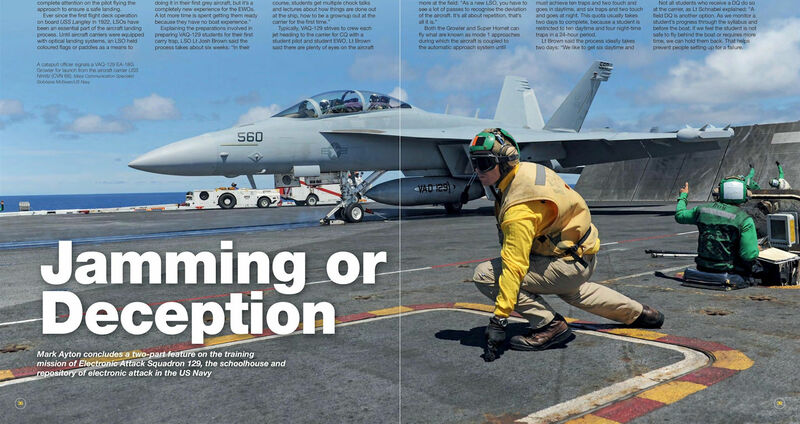 An EA-18G Growler prepares for launch from USS Theodore Roosevelt (CVN 71). Viking 507 launches from the USS Carl Vinson (CVN 70) during carrier qualifications off the coast of Southern California. Royal Australian Air Force EA-18G A46-301 wearing No.6 Squadron markings at low-level in a canyon in southern California. After successful completion of the first stage of T-50 testing, a preliminary conclusion of the test programme was signed at MAKS 2017. 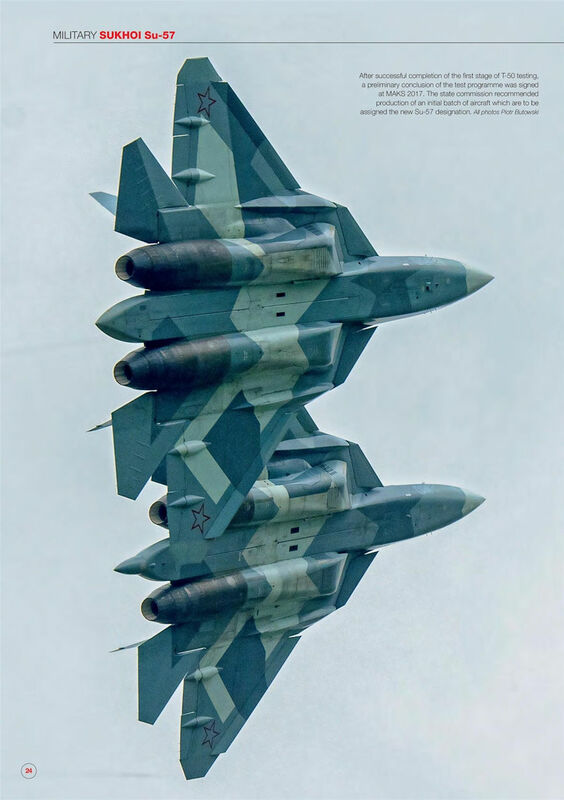 The state commission recommended production of an initial batch of aircraft which are to be assigned the new Su-57 designation. Sergey Bogdan and Sergey Chernyshev flew a demonstration which included aerobatics and an air-to-air engagement. The demonstration was notable though not that dynamic due to flight envelope restrictions. 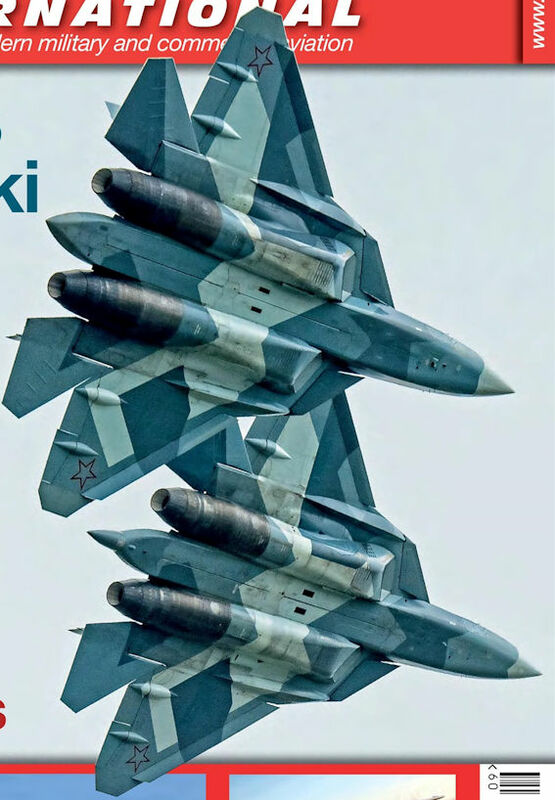 Both aircraft, T-50-2 and T-50-4, are prototypes built without the current upgrade. 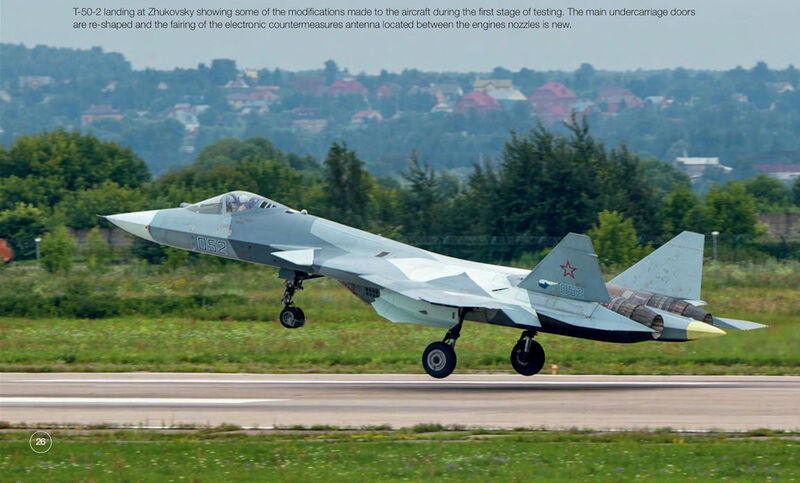 T-50-2 landing at Zhukovsky showing some of the modifications made to the aircraft during the first stage of testing. 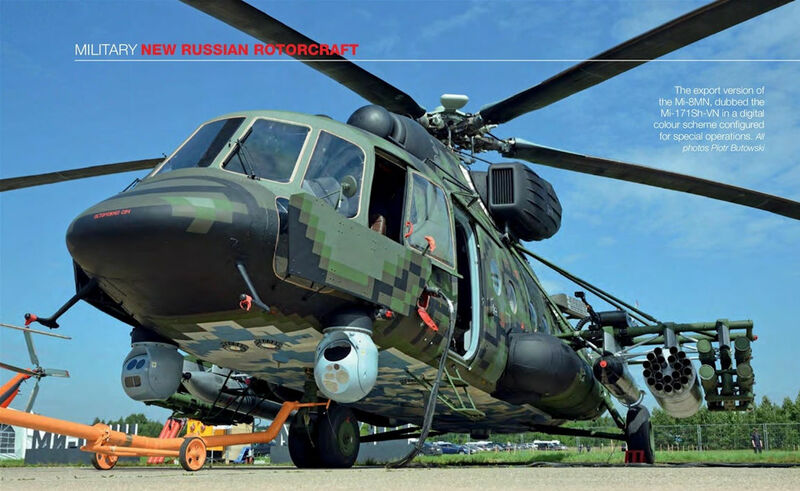 The main undercarriage doors are re-shaped and the fairing of the electronic countermeasures antenna located between the engines nozzles is new. 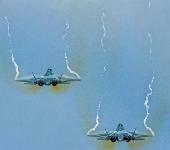 T-50-9 509 was supposed to be shown to Vladimir Putin in a separate, closed pavilion, painted in similar large pixels. The type’s new Su-57 designation was supposed to be officially announced there, but the ceremony did not take place. 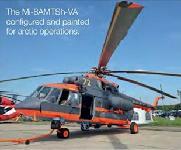 The export version of the Mi-8MN, dubbed the Mi-171Sh-VN in a digital colour scheme configured for special operations. 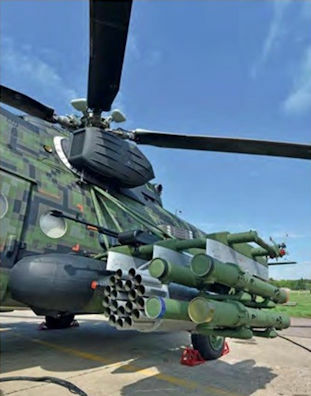 The Mi-171Sh-VN displayed at MAKS loaded with guided 9M120 Ataka anti-tank missiles, 80mm S-8 unguided rockets, and a forward-firing 12.7mm Kord machine gun. 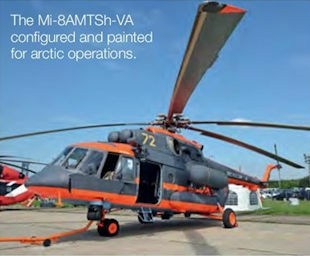 The Mi-8AMTSh-VA configured and painted for arctic operations. 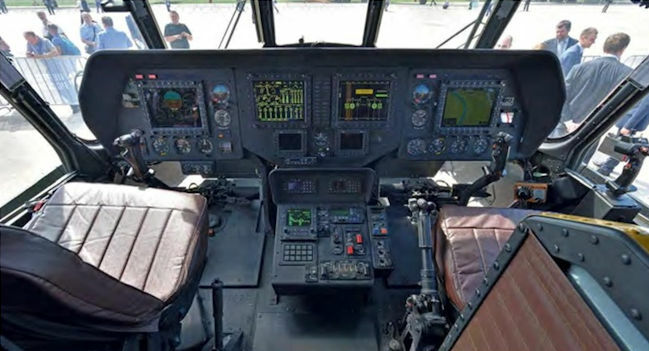 An all-digital cockpit on the Mi-171Sh-VN. Research and development funding is contained in the Air Force FY2018 budget request for the Next Generation Air Dominance programme. This is a concept shot of Boeing's F-X which could be a possible contender. The first operational flight of the Intrepid Tiger II (V)3 electronic warfare pod from an amphibious assault ship, the USS Wasp (LHD-1), took place in August 2016. 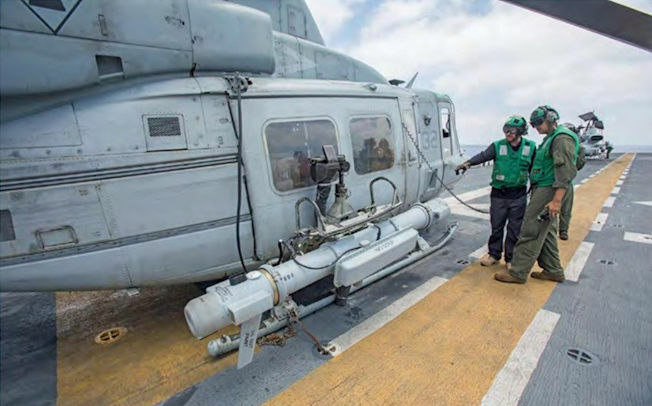 The Intrepid Tiger II EW pod is shown loaded to a UH-1Y Huey helicopter with Marine Medium Tiltrotor Squadron 264 (Reinforced) assigned to the 22nd Marine Expeditionary Unit. 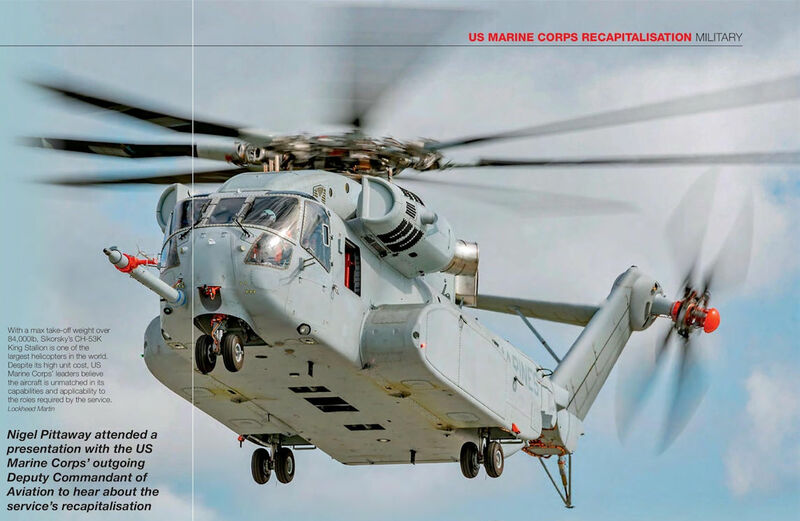 With a max take-off weight over 84,000lb, Sikorsky's CH-53K King Stallion is one of the largest helicopters in the world. 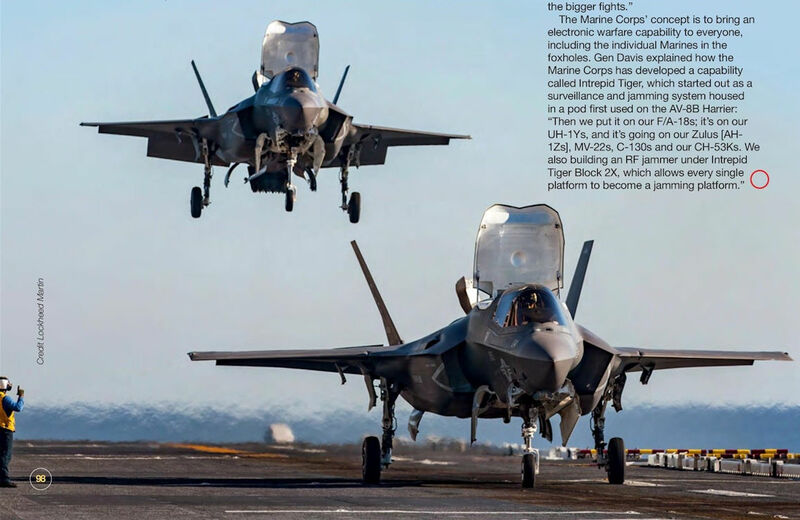 Despite its high unit cost, US Marine Corps’ leaders believe the aircraft is unmatched in its capabilities and applicability to the roles required by the service. 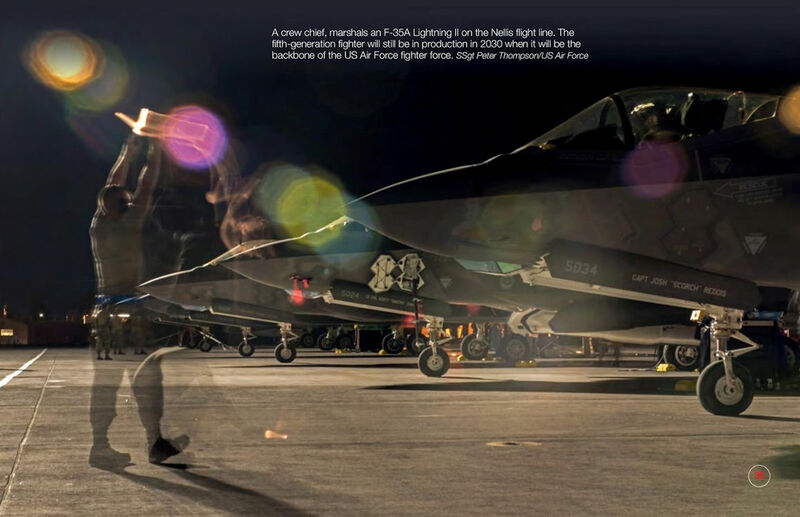 As the F-35 Lightning II continues to assume more operational tasking, operators are becoming ever familiar with its ISR capabilities provided by sensors like the APG-81 AESA radar, AAQ-37 Distributed Aperture System, AAQ-40 Electro-Optical Targeting System and the ASQ-239 Barracuda electronic warfare suite. 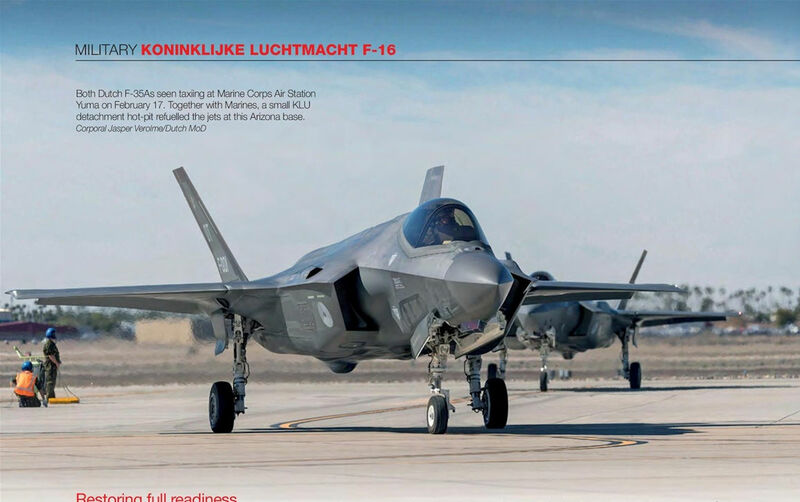 A crew chief, marshals an F-35A Lightning II on the Nellis flight line. 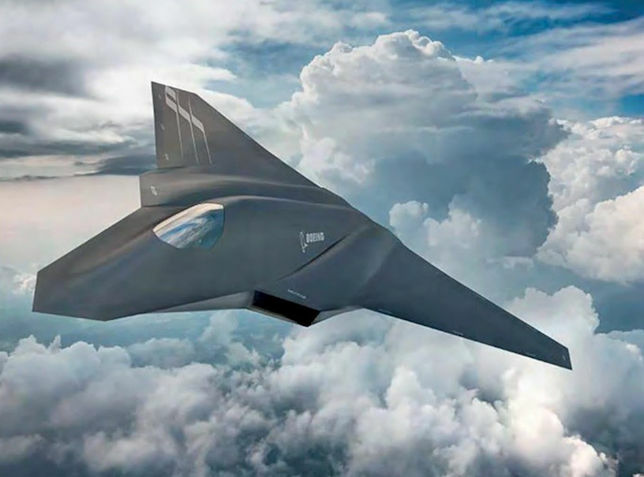 The fifth-generation fighter will still be in production in 2030 when it will be the backbone of the US Air Force fighter force. Both Dutch F-35As seen taxiing at Marine Corps Air Station Yuma on February 17, 2017. Together with Marines, a small KLU detachment hot-pit refuelled the jets at this Arizona base. 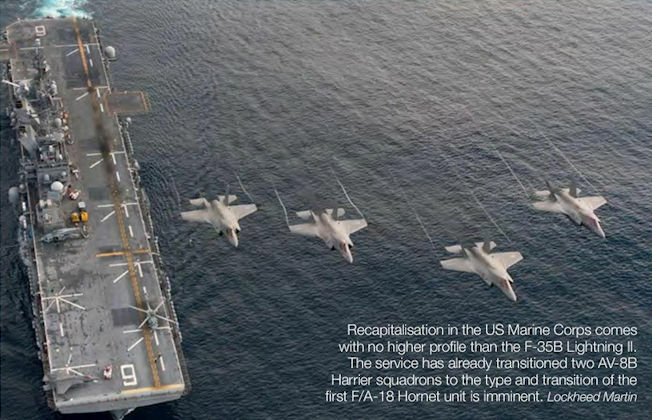 Recapitalisation in the US Marine Corps comes with no higher profile than the F-35B Lightning II. The service has already transitioned two AV-8B Harrier squadrons to the type and transition of the first F/A-18 Hornet unit is imminent. Visible in this view of the Falcon 5X are the flaperons, in the middle part of the wing trailing edge, which combine the lift/drag-producing effects of flaps and the roll control authority of ailerons. Dassault's latest Falcon business jet, the 5X, during its maiden flight on July 5, 2017. 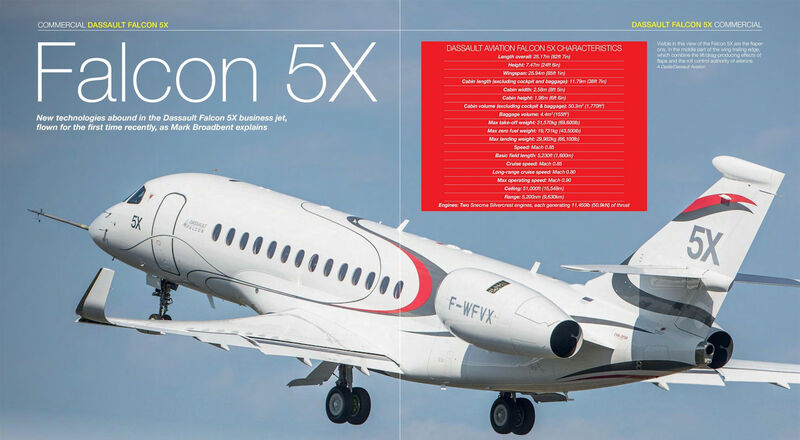 The Falcon 5X’s development has been delayed by development issues with the Snecma Silvercrest engines powering the aircraft. 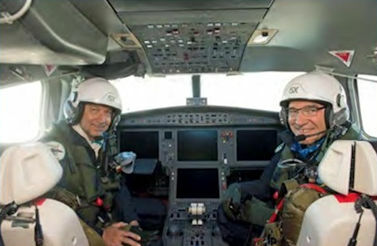 Dassault test pilots Philippe Deleume and Philippe Rebourg flew Falcon 5X F-WFVX on maiden initial flight. 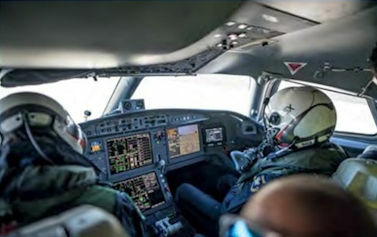 A third-generation version of Dassault’s EASy flight deck, which uses Honeywell's Primus Epic avionics, is designed to be highly interactive and intuitive to maximise pilots’ situational awareness. 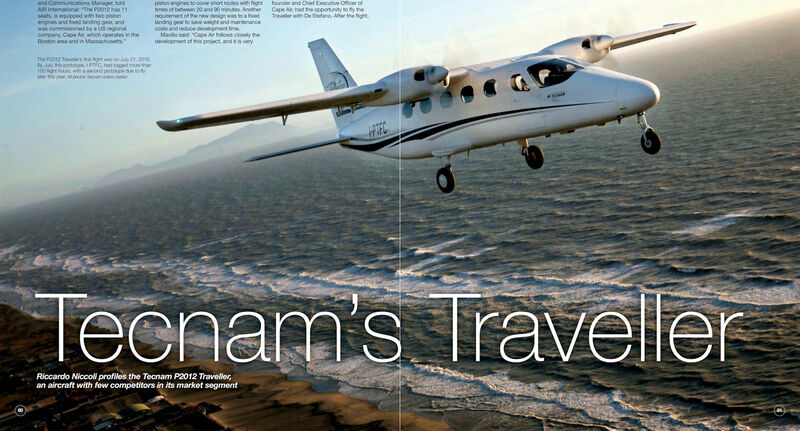 The P2012 Traveller can accomodate up to nine passengers; its two Lycoming TEO-540-C1A engines are controlled electronically and represents the most advanced Lycoming technology. The P2012 Traveller’s first flight was on July 21,2016. By July, this prototype, l-PTFC, had logged more than 150 flight hours, with a second prototype due to fly later this year. 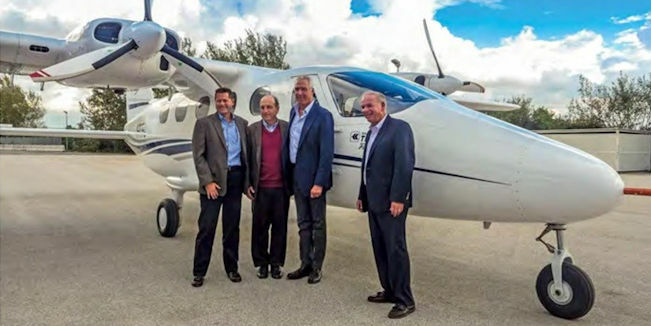 Executives from Tecnam and the P2012 Traveller’s first customer Cape Air, which has ordered 100 examples. 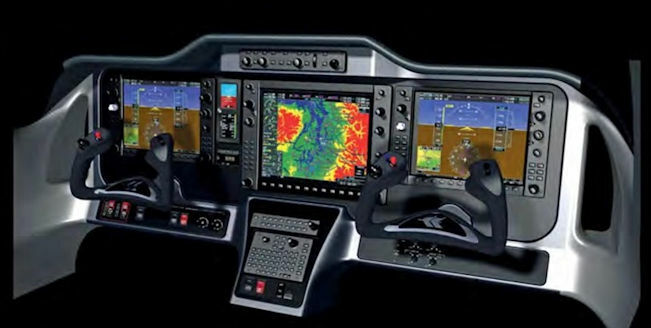 Garmin NXI avionics, the new generation of the Garmin G1000, feature in the cockpit. A military version of the VRT300 parked by a commercial van housing its ground control station. 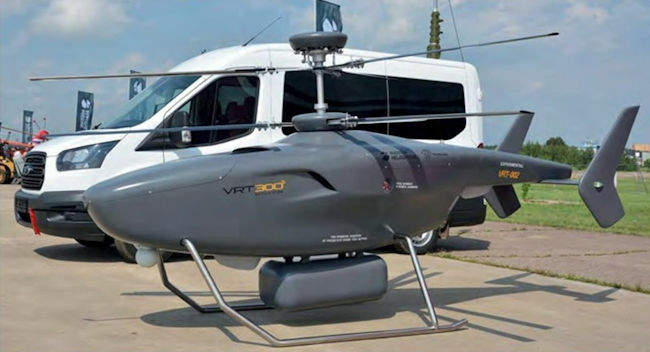 The brand new VRT300 unmanned rotary wing air vehicle.